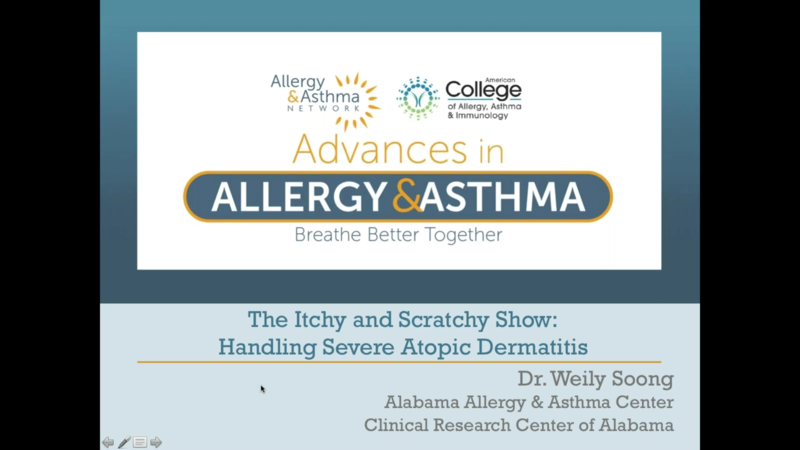 Program Summary: Join us as Dr. Don Bukstein discusses the implications and impact of sleep in the management of both asthma and allergic disease. Login or Register to enroll in this course. Program Summary: Dr. Stuart Tousman puts statistics and statistical terms into an easily understood format for allied health professionals to understand and prepare to use in their daily practice. Program Summary: Dr. Purvi Parikh joins the Network to talk about what patients and providers can do to enhance overall lung health - discussion includes smoking, environmental control, climate change, exercise and more. Program Summary: Join Dr. Michael Pistiner as he discusses anaphylaxis recognition specific to the infant and how healthcare providers can help families feel confident recognizing and managing potential anaphylaxis. Program Summary: Dr. Anne Maitland walks us through a discussion of 21st century asthma and asthma care while looking at disparities in asthma throughout our communities. 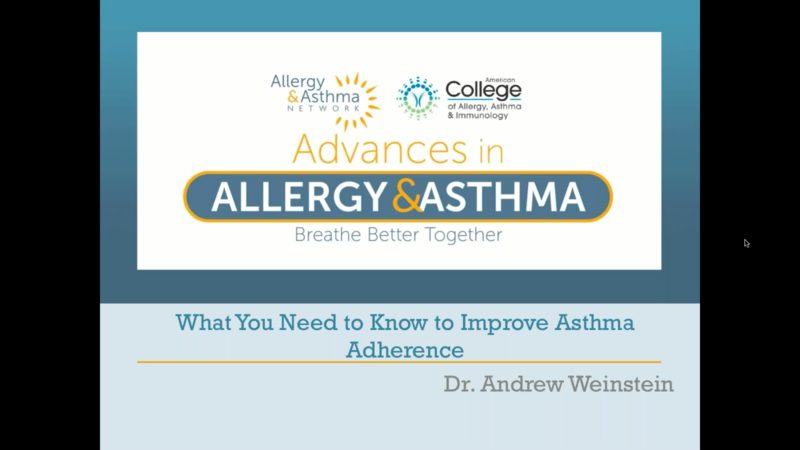 Program Summary: Dr. Andrew Weinstein presents research-based practical strategies to help improve asthma patient adherence and outcomes. Program Summary: Atopic Dermatitis is a health concern that has a high impact on quality of life. Learn management techniques, complications and future therapies with Dr. Weily Soong.